Michael melting glass on a torch. Making models out of wax. 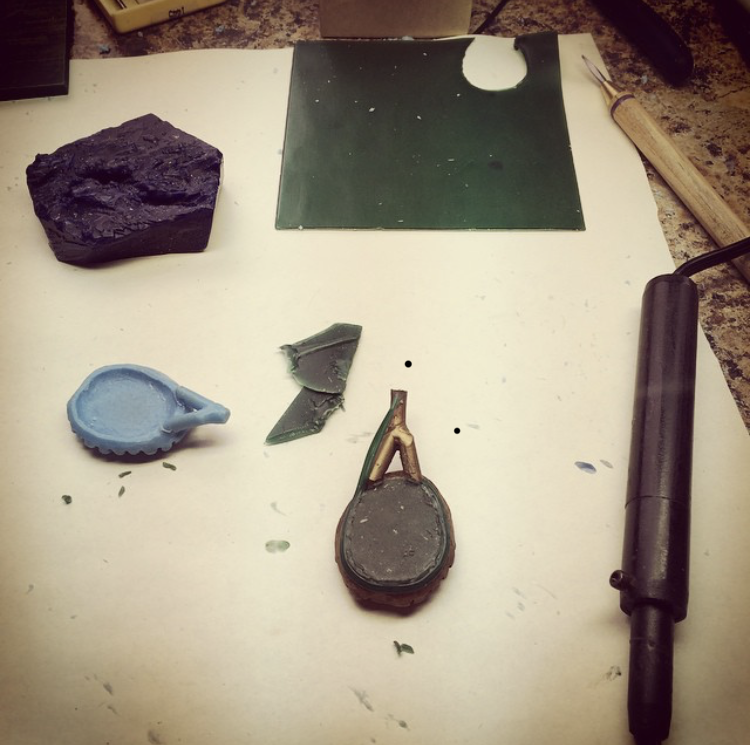 Waxes being made using rubber molds. 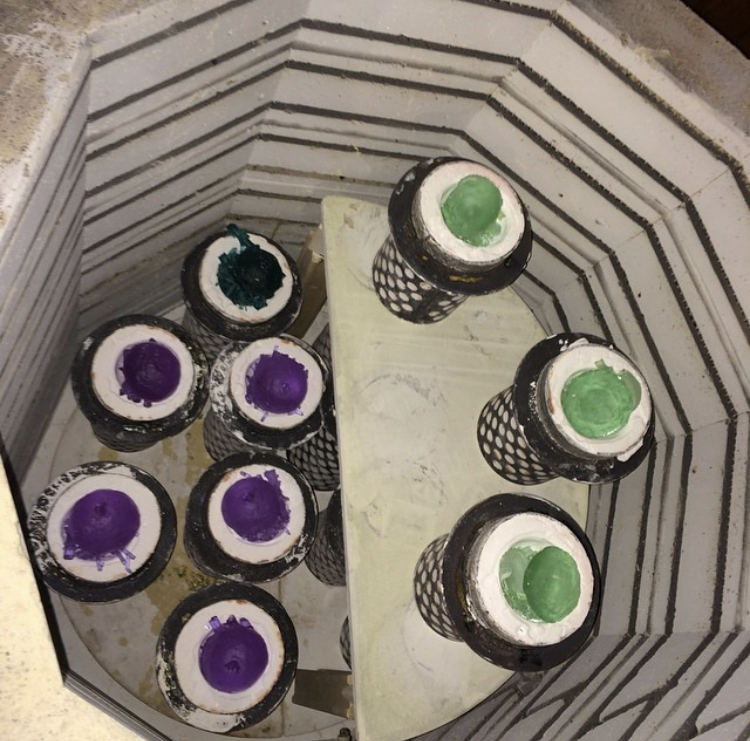 Waxes cast into glass inside a large kiln. 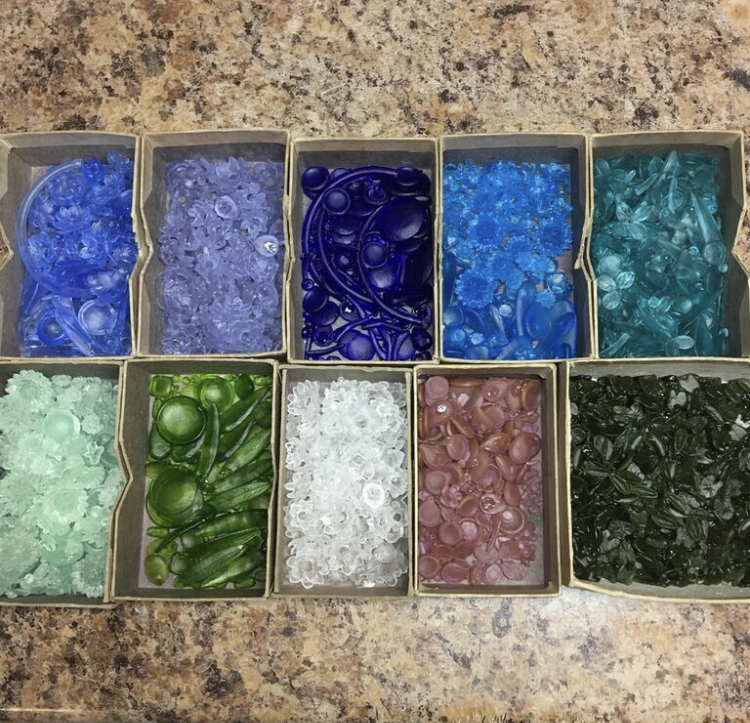 Glass ready to be assembled into our jewelry.